OWNER SAYS SELL! Price reduced below value. 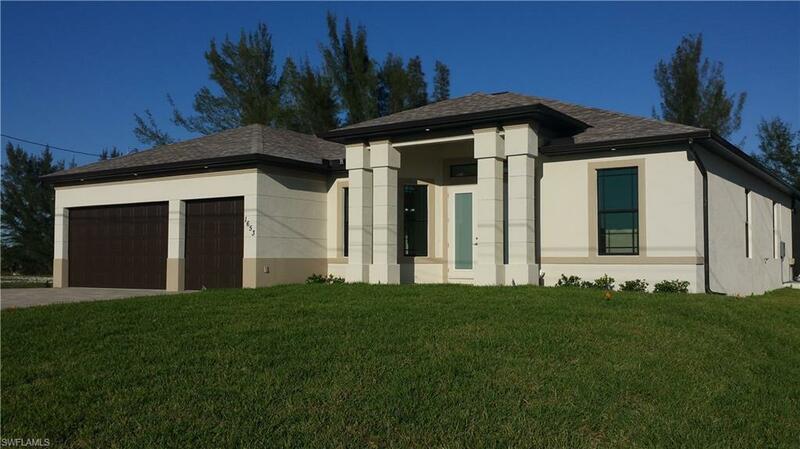 Seller wants to move this beautiful, newly constructed pool home on a Gulf access canal with great access to spreader. The Kitchen has gorgeous Level 1 Granite counters, hardwood cabinets and Kitchen Aide stainless steel appliances plus an oversized Island that overlooks the saltwater pool and Gulf access canal . Great Room has a wall of sliders that opens to massive screened in pool deck. Separate His and Hers granite top vanities in Master Bath, with large custom tiled walk-in shower and soaker tub. Tile floors through out the home. This 2104 sq ft home includes 2 guest bedrooms, one with a full pool bath that can serve as a 2nd Master Suite and a full guest bath. Both the Pool bath and guest bath have granite counters, hardwood vanities and custom tile. The 13, 000 gal heated salt water pool has a massive pavered pool deck that extends across the entire back of this home . Huge 3 car garage with epoxied floor. Extra wide Pavered driveway. Covered 8000 lb Boat Lift with composite dock on Sunfish Canal. Gulf access via North Spreader Canal. Near Coral Oaks Golf Course and upcoming Seven Islands Development. This is a must see !